The data scientists at Redfin have released some numbers that indicate listing a home on a Thursday could have an impact on the closing price — Thursday listings closed at an average of $2,352 more than Sunday listings, Redfin said. The company also noted that open houses don’t make a significant different on final sales price or length of time to sale, and are therefore perhaps not worth a seller’s time. The data for open houses and when to list came from 12 million condo, townhome and single-family sales in active Redfin markets since January 2010. “For some metrics, such as when to list, we reported 2015 numbers while affirming a trend for each year back to 2010,” explained Redfin in a statement. The company also concluded that professional photos are worth the cost. “Sellers who used a high­-quality camera and lenses for their listing photos got an average of $3,400 more for their properties,” reported Redfin. 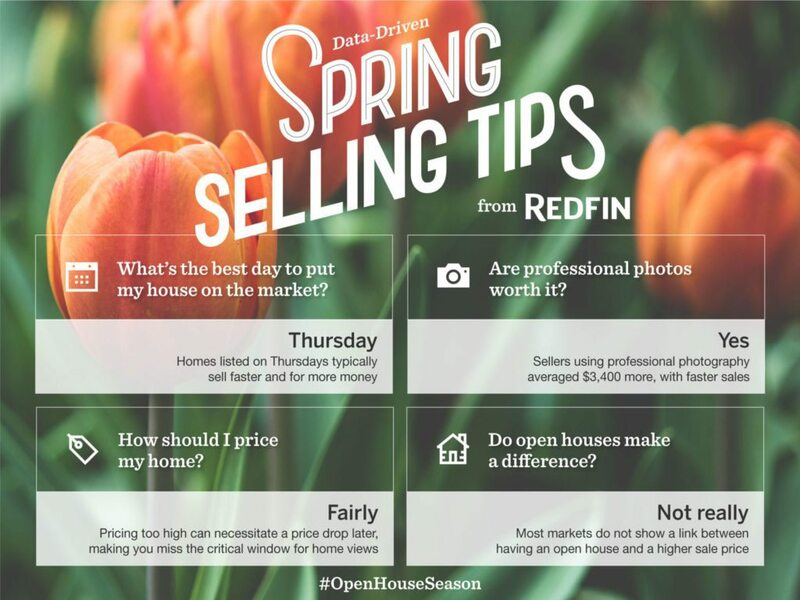 And although real estate agents already know the importance of pricing a home correctly, Redfin’s reminder to consumers uses data to make its point. “Testing the waters in hopes of getting a higher price is self­-defeating,” states the company. “That’s because homes get five time more online views the day they hit the market than they do a week later. If buyers dismiss your home as overpriced early on, they might never come back. Like me on Facebook! | Follow me on Twitter!